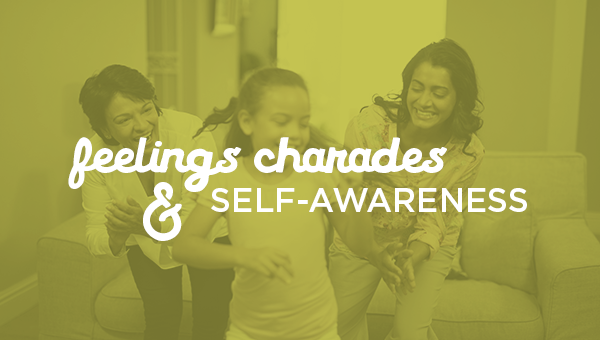 Identifying emotions is a characteristic of someone who is self-aware. Self- awareness is one of the 5 competencies of social and emotional learning. It is the ability to recognize one’s own emotions, thoughts, and values and how they influence behavior (CASEL). ReadyRosie’s Feelings Charades is a great game to play to help children, young and older, learn to recognize and name emotions. Individuals who have good self-awareness are self-confident; they are able to recognize their strengths and limitations and can identify their emotions. Students who have strong self-awareness have a growth mindset, but some children have to be taught how to identify their emotions before they can learn to manage them. For young children, this may require teaching them to label or name their emotions. An activity can be as simple as teaching students how to stop and breathe in and out when they feel they are getting upset. In addition to this, PBS Parents Child Development Tracker suggests we teach children how to form an “I statement” to help them articulate feelings. I feel mad when my little sister goes into my room and makes a mess. I feel sad when I can’t go outside. I feel peaceful when we play a game together. Here are some great ReadyRosie videos that support self-awareness. How does your classroom encourage self-awareness? How does your teacher language encourage a growth mindset? How do you help your students identify their emotions and ultimately manage them? Do you have a great de-stresser you teach your students? Let us know on Facebook or Twitter. We would love to celebrate what you are doing!